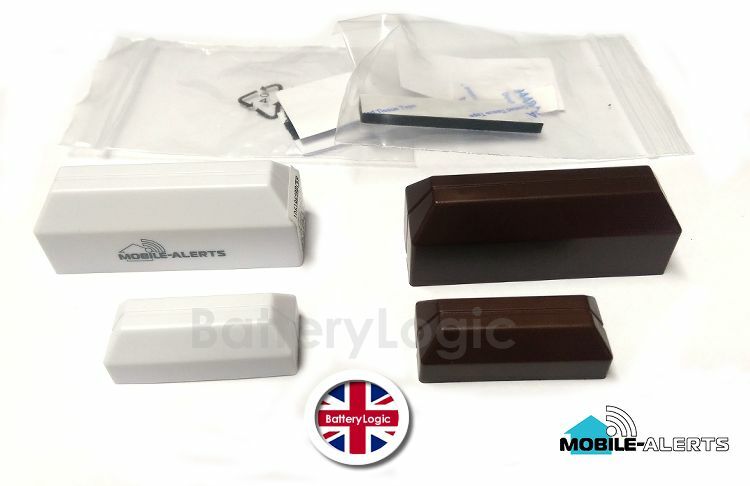 The contact sensors can be quickly and easily attached to any door, window, draw or cupboard and will trigger an alert to your smart phone the moment they either opens or close. The list of uses is endless and the more you think about it the more options for use you will think of. The free smartphone app also keeps a record of the exact times the sensor has been opened or closed. Very useful as a discreet security device for remote monitoring and also very useful for remotely checking that all windows and doors are properly closed. The app and gateway can monitor upto 50 individual sensors so adding additional contact sensors is possible at any time, simply stick the sensors in place, scan the sensor with the app and the new sensors can be up and running in minutes..